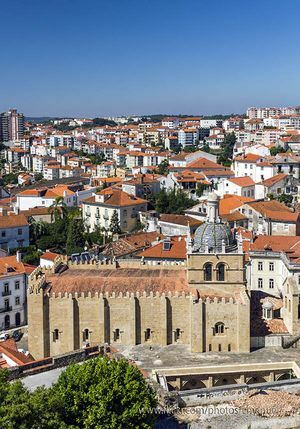 Discover Coímbra, the Medieval capital and the university city in Portugal. 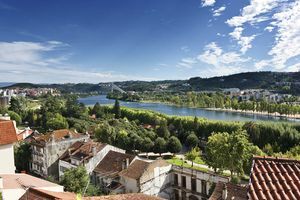 Coímbra was the Medieval capital of Portugal for more than a 100 years, and it has been the headquarters of the largest university in the country for the last 5 centuries. 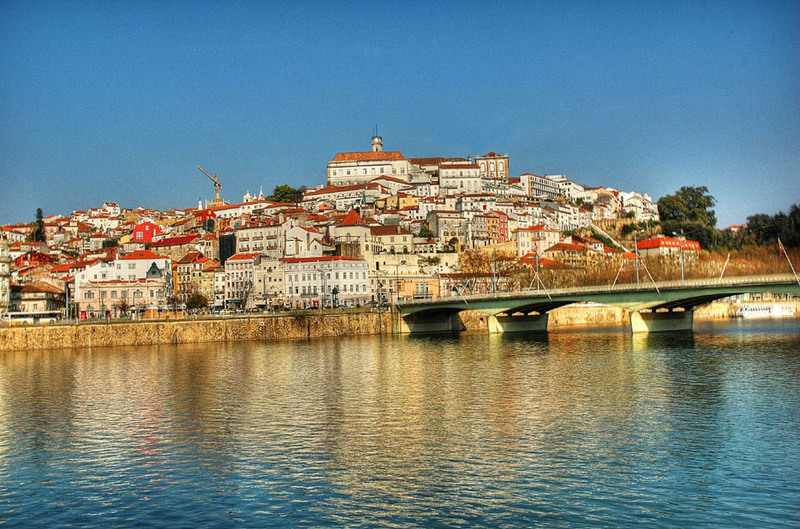 This city has a great historic role in Portugal’s history. Nowadays, it is a compact city, which has to be visited on foot. 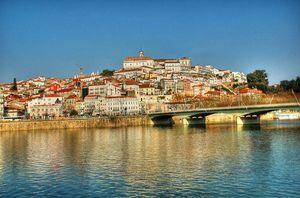 The old town, besides the sidehill on the Mondego River shore, is a picturesque image made of buildings covering almost a millennium of history, from the Moorish Almeida Arche, located at the feet of the city, to the Reloj Tower, which crowns the old university courtyard. 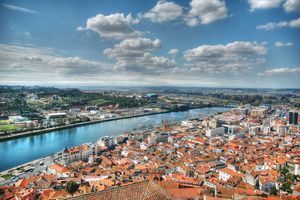 The modern part of the city is located as soon as you get away a little from the historical centre: a modern park with terraces, bars and restaurants by the river, a wonderful pedestrian bridge over Mondego River, huge malls, and everything you can expect from an important European modern city. You can start your tour of the city visiting the Bairro Alto, where used to live the Nobility and the Clergy. The most picturesque way to access it is through the Almeida Arch, which is the old Moorish gate of the city. On the left, as you go up by the Rua Sub Ripas Street, is located the magnificent Manueline door of the Sub Ripas Palace (16th century), with its Renaissance windows. A little bit further stands the Anto Tower, which was part of the city walls. If you go backwards and up by the Largo da Sé Velha, where stands the Sé Velha (Old Cathedral), you will reach the Machado de Castro National Museum and the New Campus, founded by the Pombal Marquis in the 18th century. Right beside the museum raises the Sé Noval (New Cathedral). In the highest part of Largo Dom Dinis is located the Academic Museum, dedicated to show the student life in Coímbra. The Old University is made of a notable compound of 14th to 18th centuries buildings, where places as the Relógio Tower, the Capela de São Miguel Chapel or the Joanina Library. Once outside of the Velha University, you will find the Nova University, which if it is not of much interest from the architectural point of view, is of great cultural interest. 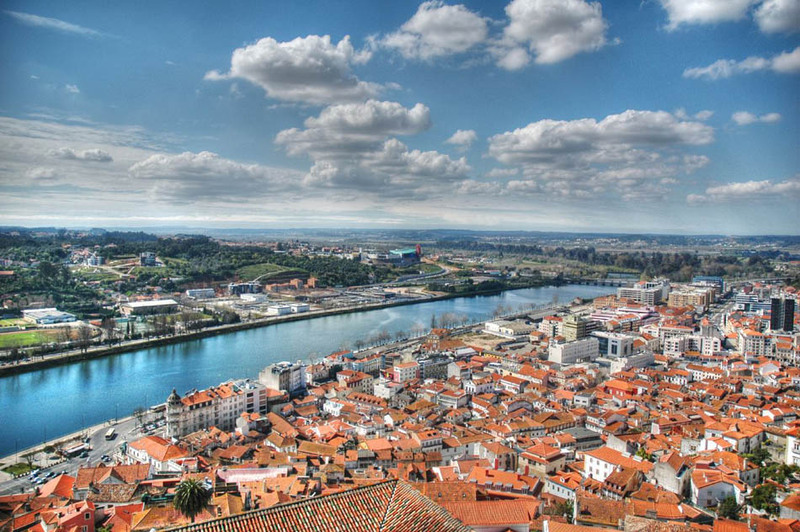 Beside the university city, upstream the Mondego River, is located the Botanic Garden with the Botanic Museum. Other interesting museums on this side of the city are the Ciência Museum, hosted in the old monastery of the Largo marqués de Pombal, and the Bissaya Barreto House Museum, which stands out by its Portuguese tiles, its national and Chinese china and its Joanine furniture. In one of the sides of the great Praça da República Square, always lively because of its cafés with terraces, you will find the access to the Santa Cruz Park, created on the 18th century. Nearby, going along the Dr. Júlio Henriques avenue to turn right then by the Marnoco Sousa Avenue, you will find the Penedo da Saudade, an excellent overlook from where you can get the best panoramic view of Coímbra. Another of the standing out monuments of this area of the city is the Santa Cruz - National Penteón Monastery, erected in the 13th century by King Afonso Herniques. This part of the city hosts the Praça do Comércio Square, one of the most beautiful squares in the city which was the old site of a Roman circus. In this squares you will find two churches, the Igreja de São Bartolomeu Church, from the 10th century, but rebuilt in 1756; and the Igreja de São Tiago Church from the 12th century. Along the Rua da Sofia raises another 16th century churches: the Igreja do Carmo Church, the Igreja da Graça Church, and the São Pedro and the Santa Justa ones. The most interesting thing of the Baixa city is on the other side of the Mondego River, which can be saved by the Ponte de Santa Clara Bridge. However, it is worth having a walk by the alleys labyrinth which are between the Igreja de São Tiago and the river bank. Once you are on the other shore, the first interesting building is the Igreja do Santa Clara-a-Velha Convent, the last bastion of an old Clare nuns convent. A little bit further is found the Portugal dos Pequenitos Park, made up by scaled copies of monuments and buildings of the architecture and the history of Portugal. To complete the visit to the river banks is recommendable to have a walk by the Quintas das Lágrimas Garden and the Santa Clara-a-Nova Convent. Coímbra is also a good basis to explore its surroundings. An interesting tour is the Conímbriga Roman Site, located 16 kilometres far from Coímbra. The visit usually lasts around an hour, and the ticket price (around 4€ per adult) includes the entry to the Conímbriga Monographic Museum and the Roman site. It is also worth visiting, especially in the summer, Figueira da Foz, a beautiful beach city very visited by Portuguese people and tourists, with the little village of Buarcos only 3 kilometres away. This area is highly recommended for surfers. The image of the city changes a lot depending on the time when it is visited: if it is visited during the academic year, it is seen with a lot more of activity, where the young fill the old town bars and cafés and the Praça da República Square. If it is possible, it is recommendable to visit the city during the Queima das Fitas, at the beginning of May, a lively celebration for a week with live music everyday. In addition to the Queima das Fitas, it is also worth emphasizing other celebrations such as the Festa da Rainha Santa, which is celebrated around the 4th of July in the even-numbered years, when the Thursday night is made a procession with candles to take its statue from the Santa-Clara-a-Nova to the Largo da Portagem, by the streets of Coímbra to the Igreja do Carmo Church. The following Sunday takes place a second precession to take her back to the convent.